Joe Bott will be joining us at the retreat to discuss and enlighten us about many positive facets of his free web project Dead Fred. His online photo archive has harnessed the power of networking to put identifications to photographs for many years – since before crowd-sourcing was popular. Visit the Retreat online for more information. *Gang Shoot(ing): Several photographs to be included in the publication are placed together and halftoned at one time. While many printers do this by shooting any photo “as they come” within the manuscript – this does not turn out well many times for very light and very dark photos. This technique is often employed to reduce cost of photo. Our new electronic halftoning process eliminates this need. Gloss(y) paper: Paper that has been coated on one or both sides during paper production. Some high gloss papers glare, making them difficult to read. Additionally, gloss paper is generally expensive and can not be offset printed. Collages may cover entire families, or specific time period or geographical area. Be careful your scale doesn’t overwhelm the reader or lose the detail (due to size) that was wanted. Keep masters of the highest resolution you have captured or can make – until replacing with updates or improvements. Reduce quality and size for each use from master. Evaluate all uses you feel you will need and capture or produce graphics of a size that will satisfy them all. How many authors design a spectacular color cover – on the front and spine only? Traditionally, genealogy and history books didn’t have anything on the back cover. Economically, with color covers, there is almost no advantage to this. Even though one shouldn’t over clutter a cover layout, consider turning the back cover into a collage! Consider using an archival photo mounting sleeve to place an actual photograph within your book. Today’s options can be easy to use and self-adhesive. Dedication to a special individual? Give your book buyers a special keepsake by placing a real picture within their book. This can “upgrade” a book by placing the photo and sleeve over a printed photo. Just one of many things that can go into producing a deluxe or keepsake edition. A lower lifetime idea would be to place on the book cover. Free first hour ($25 value), with second through fifth hours billed at only $10.00 each (half price). This graphic artist/design work can be used on the book element(s) of your choice. This is a total value of up to $65.00! This includes the initial work and all time involved in digital consultation/proofing hours and placement in manuscript (if needed). Cover Design: Many genealogy and history book covers can be fairly plan. Because of this, the cover design process can be completed within just a few hours. Design can be generic cover flats that can be used in any final files, or tailored to your specific binding needs. Photo touch up/light restoration: Have dark, light or dusty photos, ones with folds in the sky, etc.? Maximize your savings by providing individual digital files at 600 dpi. Just a little something extra: Special icons, custom bullet points, marked maps, tinted photos, color changes, etc. Sometimes a little thing can make a big difference in a book. Specifically request this offer with your manuscript/deposit mailing. 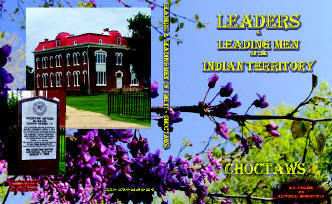 Send your manuscript and deposit to arrive at the publisher by 1-1-2013. Excludes any manuscripts already in house or mailed by October 31, 2012. Quality may be a factor in deciding whether to included a printed photo in a family book, but not always. Many authors are producing hybrid books so they don’t have to leave any photos out. This page contains some great ideas to be published by the Gregath Publishing Company to keep in mind. Show your achievements, whatever they are – be they are military medals, trophies, etc. Captions are important as well. Don’t overlook your photo layout when determining margins and what fits on a page. The photograph counts as the edge of the margin, just as headers, footers, text, and other graphics do. As we prepare digital manuscripts, it is easy to forget this as so many of our special items lay “over” or “under” the page that we have set margins for. Unless you are paying for a full bleed, laying items outside your set margin area can lead to books that have inadequate printing in the margins, broken spines as things run into the stitched binding, and unforeseen edge trims as the book block is trimmed to prepare for binding. Containing color photos where black and white were used in the printed book.